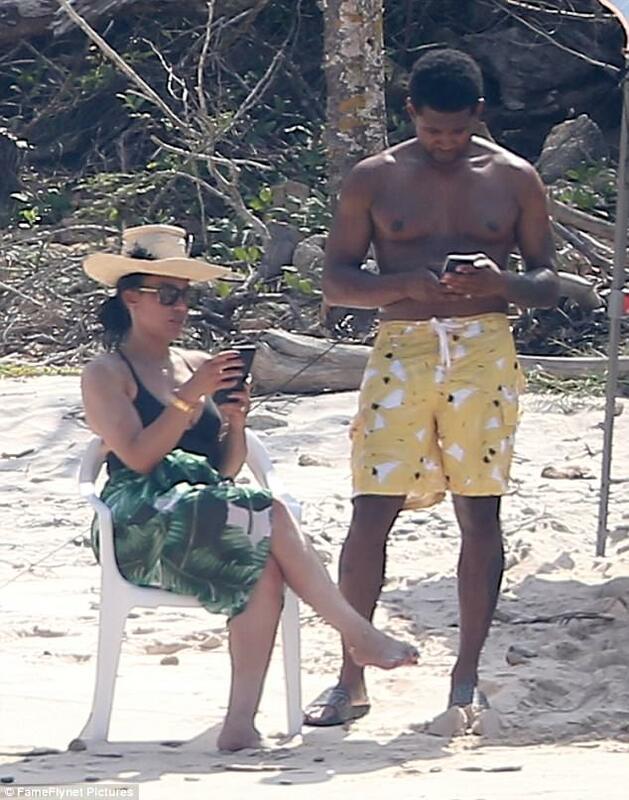 Usher (38) has just made Black women that much more fond of him, after photos surfaced recently of he and his 48 year old wife, Grace Miguel, on vacation in Mexico with a group of their friends. Now, ordinarily one would think ‘Okay, so what? 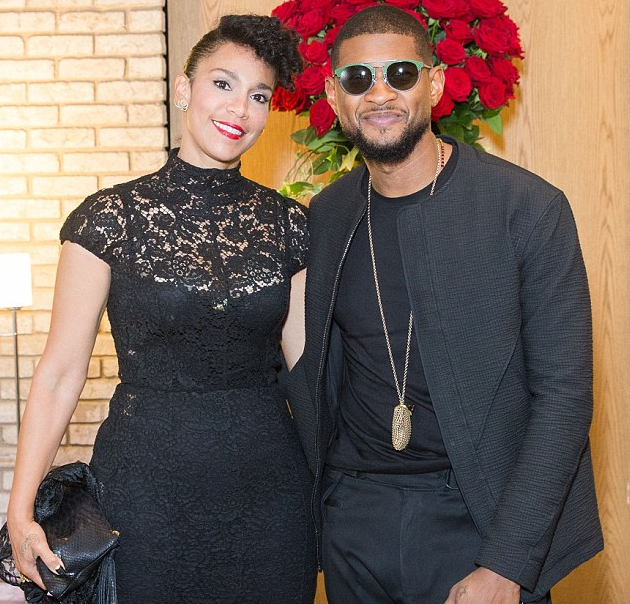 He took a vacay with his wife…AND?’ But this time is a lil’ different because on that particular vacation, Usher displayed signs of unconditional love to his wife and vice versa, by way of what he did to her hair. It may sound odd for hair and unconditional love to be mentioned in the same sentence to those who do not understand the importance of the topic as it pertains to many African American women, but for those who do, I know you’ll get what you’re about to see. Usher, Grace, and crew vacationed on a private island in the Jalisco area of Mexico, to join Rihanna’s creative director, Ciarra Pardo, for her birthday celebration. While there, they took a swim, text messaged their people, and took out Grace’s hair extensions. Yep, you read that right, Grace showed up to the island with long braids and left au naturel, with the help of her man, Usher, who took some time to unbraid Grace’s braid extensions one by one right there on the beach…. 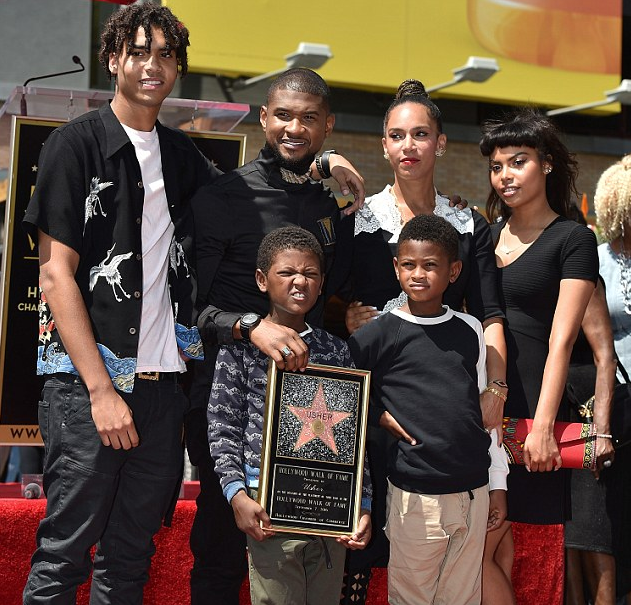 Anywho, when women saw Usher taking out Grace’s braids for her like a pro,’ they were giving him collective “Awww’s” and “That’s so sweet” comments online. 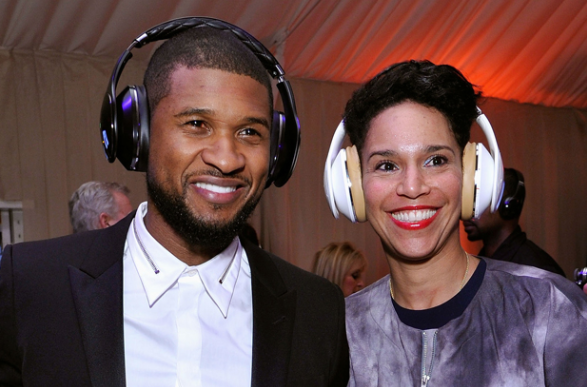 So Usher has just earned himself some brownie points with the ladies, who appreciated seeing a different side of him. 1. She’s Usher’s manager. She took the job his mother held for years, but as far as we know, there is no bad blood between them. 2. She has two teen children- daughter, Leaf, and son, Raiden. “When the show ended in 1992, I knew it was time for a complete change,” revealed Grace on Usher’s philanthropy website.